Carphone Warehouse-owned website Mobiles.co.uk and other online phone retailers are facing a backlash from customers wrongly refused Black Friday smartphone deals. A problem with Vodafone’s credit check systems meant that some applications submitted via the contract resellers were incorrectly turned down. The BBC understands that about 5% of consumers experienced the issue. Many affected complained on social media and Trustpilot’s review site. Although Vodafone is offering to recheck applications from anyone who contacts it, this has not always been communicated to the rejected customers. Carphone Warehouse-owned website Mobiles.co.uk has attracted the brunt of the fallout. 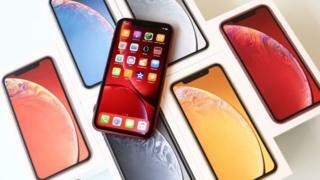 This is in part because one of its iPhone XR deals gained a huge amount of publicity. But it is also related to the fact the business charges 13p a minute to call its sales helpline. Some customers have said they were on the line for more than an hour without the matter being resolved. The Black Friday weekend represented one of the busiest times of the year for smartphone sales. In some cases, retailers took as many orders in a few days as they would normally take in two months. The BBC initially flagged the issue of rejected credit checks to Mobiles.co.uk’s parent company Dixons Carphone on Monday, after noticing a number of complaints on Twitter. “We have seen no change in our credit check ‘accept rate’ for this deal compared with our usual rate,” the firm responded. A follow-up query was responded to on Wednesday with a similar reply, a statement by which the firm stands. 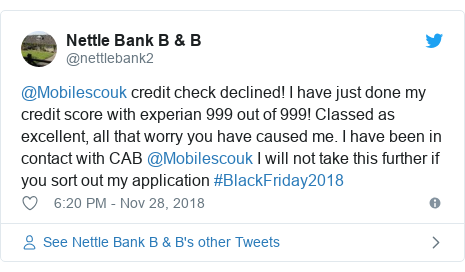 However, when the BBC spoke to a store assistant in one of the group’s Carphone Warehouse’s retail outlets, it was told that the shop had repeatedly had to submit some customers’ applications to get them approved, because of problems with Vodafone’s systems. It appears, however, that members of the public who used the Mobiles.co.uk website only, had their details submitted once and were sent an automated rejection email if they failed. Customers of other online retailers including Mobile Phones Direct, Affordable Mobiles and Fonehouse have reported experiencing a similar fate. “Due to the high volume of interest in our Black Friday deals, the system dealing with credit applications from indirect partners experienced some issues,” said a spokeswoman for Vodafone. “This meant that a small number of applications were declined incorrectly. “The system is now back up and running properly and we are rechecking applications from anyone who has contacted us to query our decision on their application. Vodafone added that the follow-up checks would not affect consumers’ credit scores. Dixons Carphone has acknowledged that some of its customers have still to be told whether or not they have been accepted, but it has not acknowledged Vodafone’s accuracy problem. 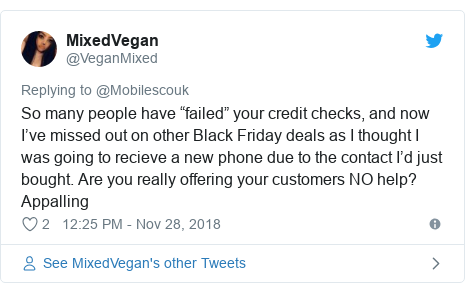 “Due to an incredibly high take-up of our very competitive Black Friday deals with Vodafone, there is a backlog processing credit checks,” said a spokeswoman. “We’re working with Vodafone to resolve this and the backlog is expected to be cleared by the end of the week. One industry expert expressed surprise that Dixons Carphone had not addressed the failed credit checks. “If you’re going to offer a promotion that almost looks too good to be true, the likelihood is that you are going to get deluged with people and you have to be able to cope with that as an organisation,” said Ben Wood from CCS Insight.